In this present series we examine a series of films produced by German authors in India. The series identifies these as being useful examples of a ‘visitor-film’. The third article examines Paul Zils - a mythical figure. Despite his extensive filmography Zils registers in the narrative of Indian cinema as an enigmatic figure, who witnessed India transition from a British colony to an independent sovereign state and unlike many of his contemporaries, chose to actively engage with its chief events, both as a participant, and as an observer. Paul Zils is a mythical figure, despite his extensive filmography; not much is available to the present day libraries of national repute. The Films Division has only four of his documentaries of which, New Life of a Displaced Person (1957) is not in a good condition, and it feels a certain section of the film has gone missing. And if the absent films were not enough to enhance his myth, there are varied opinions among film historians and his contemporaries about the man, his appearance in India, his ideological leanings and his prolific methods of production. An interesting conclusion that Denis Vidal arrives at after much searching is that the source of every bit of information about ‘Zils is Paul Zils himself.’ To state an indisputable fact, however, Zils registers in the narrative of Indian cinema as an enigmatic figure, who witnessed India transition from a British colony to an independent sovereign state and unlike many of his contemporaries, chose to actively engage with its chief events, both as a participant, and as an observer. After a little logistical difficulty I was able to acquire DVD copies of four films by him namely, The Ripening Seed (1956), New Life of a Displaced Person (1957), Maa: The Story of an Unmarried Mother (1957) and The Vanishing Tribe (1963). All of these films were exceptionally well produced and fulfilled cinema’s mandate as a nation-building tool in a freshly independent country - the likes where the narrative is to inform the people about the ‘right’ way to do things, the correct social and moral conduct, state-devised economic and social plans and programmes— the tenets of the Nehruvian idea of India. What stands out however is the empathy with which Zils portrays the central figures in his documentaries. Even the anti-social, the non-believer or the critic in Zils’ documentaries are treated with dignity and allowed their opinions, and in those days of expensive film, a few extra feet. 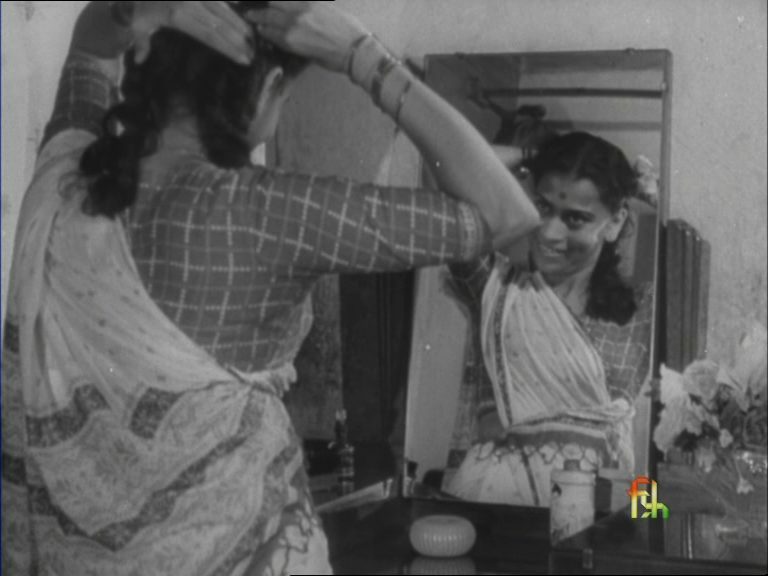 Scene from Maa - The Story of an Unmarried Mother | © Films Division, India In his films that have been preserved, Maa: The Story of an Unmarried Mother stands out. It was produced in the same year as Mother India—the epic drama regarded as a classical Indian film that was also nominated for Oscars. Paul Zils presented a very different, much nuanced Maa (mother) in his film. One that is not necessarily so ideologically terse or willing to lead a crusade and, perhaps, one that lives within the realities of the world. She is an individual who is rejected and subjugated by the society and even when going through immense personal crisis and turmoil, does not lose hope in life, but is happy to have made it through. She is also someone who is introspecting and lives in the constant realisation of her true self with no grand assumptions. It would have been extremely enriching for the audiences in 1957 to have seen both these films and most effective if they were seen consecutively. Paul Zils does not idealise or idolise the figure of the mother. This is demonstrated by the fact that the concern of the film: single motherhood – a subject of much ridicule and social exclusion even in the modern urban societies in India, is treated with such matter-of-factness that it helps effectively destigmatise it for the on-lookers. Zils makes another very important decision for Maa. He opts for a female narrator for the film, and the narrator’s voice is also the actor’s voice playing the character of the unwed mother. The male voice was the most recognised for film commentary/voice-over and mostly the characters’ own voices may not be heard, but this was an important moment because we also hear the woman speaking in the visual and the same voice becomes the narrator too, thereby compounding the ‘reality’ of the film. The film opens with a brief scene of the woman working in a child care centre trying to solve petty disputes between children, nonchalantly going about her day. As a viewer you recognise her and you are comforted by the image of a caregiver. In a few seconds, while responding to this child, she slips into narrating her story. For the viewer this is an effortless and quick transition that does not let the relationship which was just developed with the character be broken and therefore prevents the viewer from becoming judgmental immediately—an incredible deftness of handling such a complex manoeuvre—and a gradual landing into the younger life of this woman. Still from New Life of a Displaced Person | © Films Division, India Zils also shows a similar regard for his characters in his earlier films The Ripening Seed (1956) and New Life of a Displaced Person (1957). The former is an intelligently crafted film on parenting and the psychological understanding parents require to bring up healthy, happy children. The latter narrates the story of an immigrant family from Pakistan, a few years after the Partition, who are being settled in a new village created by the government—a more direct, informational film about the initiatives of the government and institutions that were established, such as the Soil Research Institute, that would help the farmers who were still trying to grapple with the new climate and soil in their new land. In this, too, Zils manages to infuse his nuanced approach and allows the protagonist to have a few moments of reflection intermittently. Similar nuance and slightly slower rhythms can be observed in The Vanishing Tribe, which proceeds to document the Toda tribe, with the rhythm of the film informed both by the curiosity of a child and the fragility of the elderly. The film ends with the demise of the grandmother and the ritual of her cremation; the child is yet to discover so much about the ceremonies and history of the tribe though an unsure future looms large. The film does not adopt the modus operandi adopted by most ethnographic documentaries, which portray the tribes as primitive and in need of emancipation. Instead it presents everyone with dignity and empathy and begins with the mythology of the tribe. Zils’ films are not sophisticated on the surface with visible aesthetics. However, they are much more sophisticated within, something that is difficult to find in most documentaries made even the present times. The time that Zils spent in India, including the time he spent as a POW, must have helped him come across the many facets of Indian life and culture, in the course of his filmmaking career. He worked on multiple subjects including films that were later recognised as corporate films. His interests were not just restricted to documentary, of which he had established himself as a prolific champion, but also to fictional films and he worked with some of the biggest names of the time in his feature films Hindustan Humara (1950), Zalzala (1952) and Shabash (1952). Alas, none of these films have survived, however one can listen to an audio of one of the songs from Hindustan Humara on YouTube. The song extols God to provide housing for everyone if he is really the almighty – in this, it almost reveals the plot of the film and perhaps also the tonality. Perhaps, someday a print of Hindustan Humara may surface. Suraj Prasad is cinephile, actor, computer programmer & co-founder of Lightcube where he heads The Dhenuki Cinema Project. He has reviewed mainstream Hollywood films for the national daily Asian Age and helps publish Umbra - a journal of film culture in India. He is a recipient of the ARThink SouthAsia Fellowship 2018 and has been a member of NETPAC since 2015.